Are you looking for an easy way to add some Disney into your everyday life? Or know someone that you’d like to spread a little Disney cheer to at an affordable price? The Etsy shop Vinyl Reflection has tons of Disney vinyls that are perfect for any Disney fan. 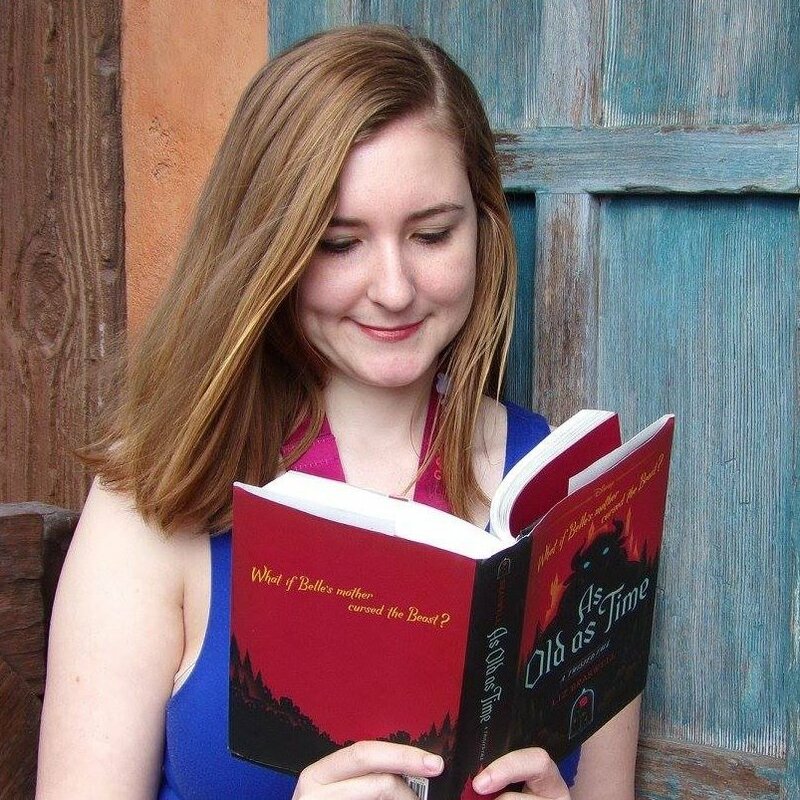 If you take a look at her shop, you’ll see tons of amazing designs perfect for the Disney fan (or if you are into other fandoms, there are also some cool ones from Harry Potter, Star Wars, Lord of the Rings, and more!). Many Disney films are represented, as well as logos and designs inspired by the theme parks. Though many of the vinyls are black, some are available in different colors as well. Don’t see what you want? Make sure to contact her! She loves doing custom designs and will be happy to try and work on whatever it is you can imagine. The vinyls can be placed on almost any surface, but some of the more popular ones are on a laptop, car, or even directly on the wall for a wall decoration. Vinyl Reflection includes very detailed instructions for how to apply the decals correctly. She was kind enough to send me some vinyls to try out and give away. When I saw the designs in person I was really impressed. They are beautiful, and you can really see the intricate detail involved with them. She picked out three to send and I really liked them all. 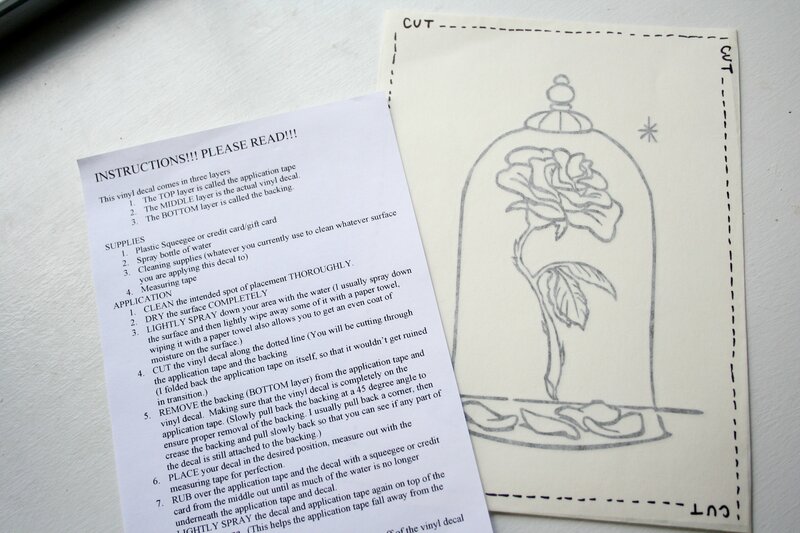 The one I decided to try out was the enchanted rose from Beauty and the Beast – if you know me this shouldn’t surprise you, as Beauty and the Beast is my favorite Disney movie! I followed the instructions she included to apply the vinyl to my laptop, and it worked perfectly. I absolutely love how it looks! 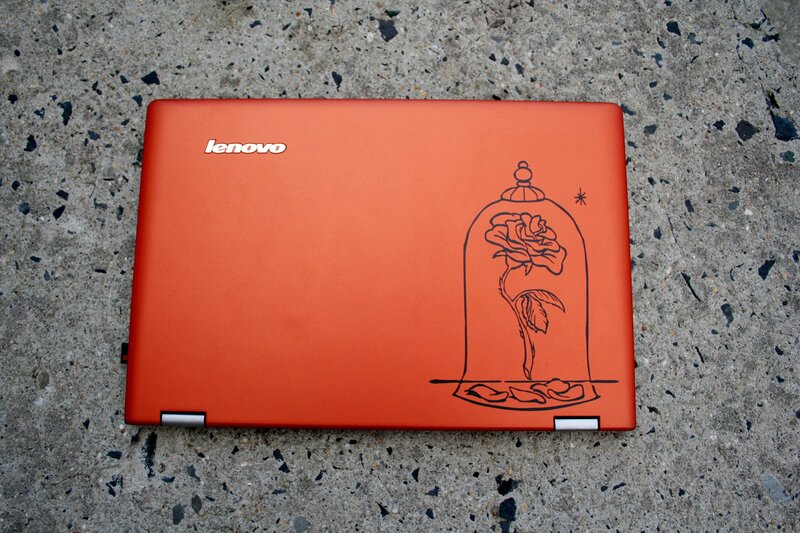 I’m pretty sure I have the coolest laptop on the block now – an orange laptop and a Beauty and the Beast decal? This laptop is so me! And now I’ve got two other decals to give away to two lucky readers! The Cinderella decal and Disney D with the castle will be available, and all you need to do to enter is fill out the rafflecopter below! Which decal is your favorite? And make sure you check out the rest of the items in our Disney stocking stuffer guide! 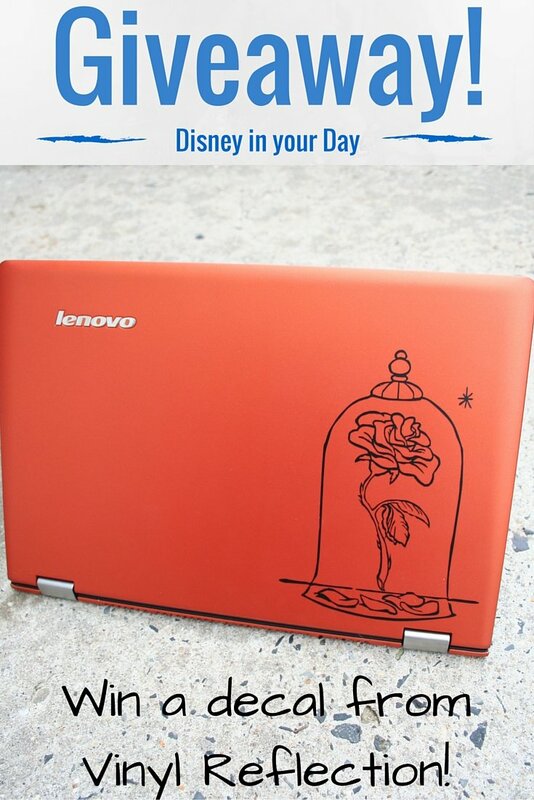 Yes, perfect for Disney lovers and she makes decals for lots of other fandoms too! My favorite is the Disney Princess Group Vinyl Decal. That is a really fun one! These are amazing! I especially love the Harry Potter ones because…obviously, Harry Potter. I LOVE THESE! If I don’t happen to win this giveaway, I am pretty sure I am still going to purchase something. My laptop could certainly use some sprucing up. Thank you for sharing this Easy shop and thank you for hosting the giveaway, Becky! I especially love the stack of books, and the young Frozen scene! Those ones are super cute! It’s a really great and inexpensive way to add some fun to your laptop! You always have the best giveaways. Thanks for sharing. I love how the decal looks on your laptop! Thanks, I’m really happy with how it turned out! My favorite is the Disney D! Not overly busy and still shows my love of Disney! Yeah that one is really cool looking, I like it a lot too! 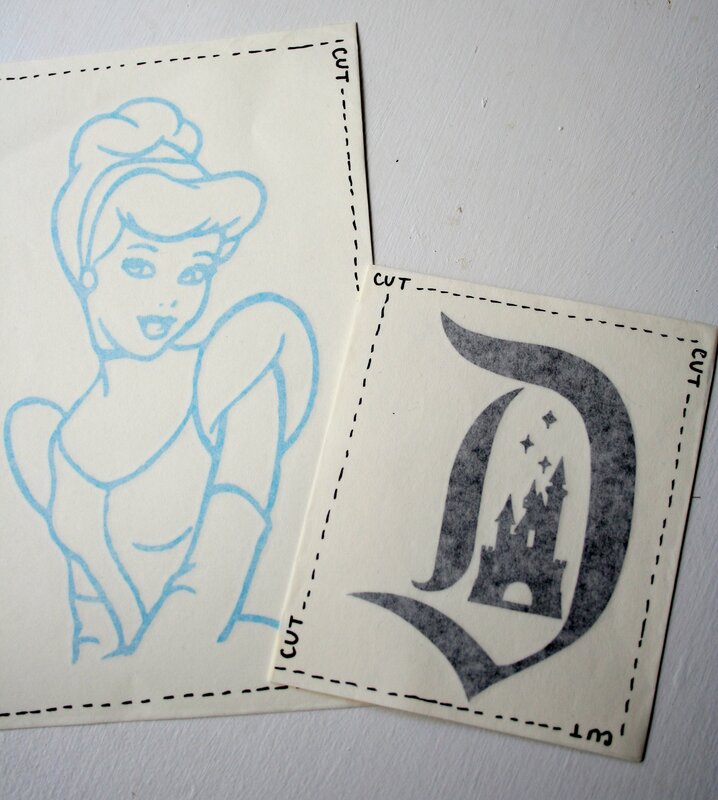 Ugh, I can’t choose between the Disney D with the castle or the Frozen Young Princesses!